Sushma Swaraj, touched upon subjects like climate change and in her speech as well. The main focus of her speech remained state-sponsored terrorism by Pakistan. 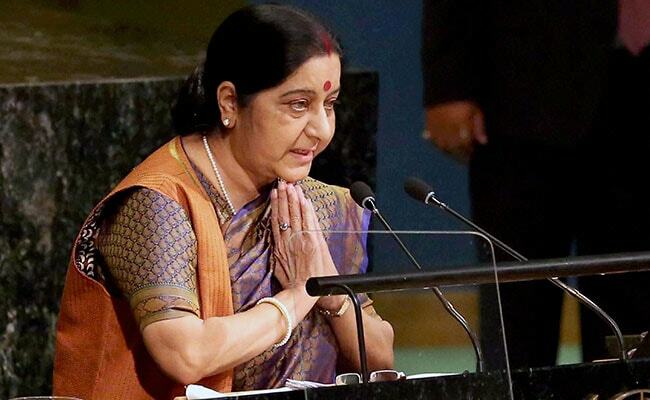 Sushma Swaraj called Pakistan "world's greatest exporter of havoc" in her speech at United Nations. 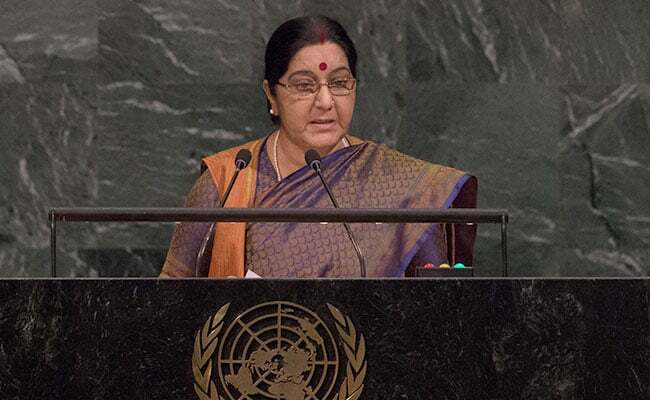 New york: External Affairs Minister Sushma Swaraj gave her second speech at the United Nations General Assembly on Saturday. In her speech delivered in Hindi, Ms Swaraj sharply criticised Pakistan for sponsoring terrorists. She also called on world leaders to jointly fight against terrorism. Our contemporary world is trapped in a deluge of troubles of which, surely, the most dangerous is the relentless rise of violence. Terrorism, and the ideas that engineer this evil, are spreading at the pace of a conflagration. Climate change stares us in the face, and threatens us with its dimension. There is a growing question mark over maritime security. For a mix of reasons, provocative and inflammatory, people are leaving the psychological, cultural and economic comfort of their traditional home space to seek refuge on distant shores causing global anxiety. A large part of the globe's population is still tortured by hunger and poverty. The young are beginning to lose hope as they confront unemployment. Women, victims of historic discrimination, are demanding what they must get: gender empowerment. Nuclear proliferation is back in the zone of dangerous headlines. Cyber security has become a source of deep insecurity. "Our contemporary world is trapped in a deluge of troubles," said Sushma Swaraj. The Jan Dhan plan must surely count as the world's largest financial inclusion scheme. Those who did not have any money their bank accounts were opened with zero balance and this would not have happened anywhere in world that if you do not have any money you have a bank account. They have a bank passbook. But this impossible has been made possible in India. At least 300 million Indians, it's not a small amount. This is the total population of USA. At least 300 million Indians who had never crossed the doors of a bank today have bank accounts: this is equivalent to the population of the United States of America. This was, understandably, not easy to complete in three years, but our banks, achieved this visionary goal set by our Prime Minister. While some remain to be included, the target has been set - every Indian family will have a bank account. Demonetisation was a courageous decision to challenge one of the by-products of corruption, the "black money" that disappeared from circulation. Today, India has passed the Goods and Services Tax legislation, through which there is one-tax across the country, without the untidy and punishing system of multiple taxes under differing categories in different parts of the country. Our "Save the girl, Educate the girl" campaign is reducing gender inequality. Our Clean India programme is generating what can only be described as a revolutionary change in social attitudes and habits. We are completely engaged in fighting poverty; alas, our neighbour Pakistan seems only engaged in fighting us. On Thursday, from this dais, Pakistan's Prime Minister Shahid Khakan Abbasi wasted rather too much of his speech in making accusations against us. He accused India of State-sponsored terrorism, and of violating human rights. Those listening had only one observation: "Look who's talking!" A country that has been the world's greatest exporter of havoc, death and inhumanity became a champion of hypocrisy by preaching about humanity and Human Rights from this podium. Pakistan's Prime Minister claimed that his nation's founder Mohammad Ali Jinnah had bequeathed a foreign policy based on peace and friendship. I would like to remind him that while it remains open to question whether Jinnah Sahab actually advocated such principles, what is beyond doubt is that India's Prime Minister Narendra Modi has, from the moment he took his oath of office, offered the hand of peace and friendship. Pakistan's Prime Minister must answer why his nation spurned this offer. Prime Minister Abbasi has recalled old resolutions that have been long overtaken by events. But his memory has conveniently failed him where it matters. He has forgotten that under the Shimla Agreement and the Lahore Declaration India and Pakistan resolved that they would settle all outstanding issues bilaterally. The reality is that Pakistan's politicians remember everything, manipulate memory into a convenience. They are masters at "forgetting" facts that destroy their version. Pakistan's current Prime Minister spoke of a "Comprehensive Dialogue" between our two countries. I would like to remind him that on 9 December 2015, when I was in Islamabad for the Heart of Asia conference, a decision was made by his leader Mian Nawaz Sharif, then still Prime Minister, that dialogue between us should be renewed and named it a "Comprehensive Bilateral Dialogue". The word "bilateral" was used consciously to remove any confusion or doubt about the fact that the proposed talks would be between our two nations and only between our two nations, without any third-party present. And he must answer why that proposal withered, because Pakistan is responsible for the aborting of that peace process. Mr President, would like today to tell Pakistan's politicians just this much, ask them that have they ever thought that India and Pakistan became free within hours of each other. Why is it that today India is a recognised IT superpower in the world, and Pakistan is recognised only as the pre-eminent export factory for terror? What is the reason for this have they ever thought? There is only one reason. India has risen despite the principle destination of Pakistan's nefarious export of terrorism. There have been many governments under many parties during 70 years of India's freedom for we have been a sustained democracy. Every government has done its bit for India's development. We have marched ahead consistently without pause creating IIMs, IITs, AIIMS and in the fields of education, health, space and across the range of human welfare.We established scientific and technical institutions which are the pride of the world. But what has Pakistan offered to the world and indeed to its own people apart from terrorism? We produced scholars, doctors, engineers. They have produced terrorists and terrorist camps. Lashkar-e-Taiba, Jaish-e-Mohammad, Hijbul Mujahideen, Haqqani Network. We produce scholars, doctors, engineers, scientists. What did you make Pakistan? You created terrorists and Jihadis. And you know, Doctors save people from death; terrorists send them to death. Your terrorist organisations are not only attacking India but are also affecting our two neighbours, Afghanistan and Bangladesh. Terrorism is at the very top of problems for which the United Nations is searching for solutions. We have been the oldest victims of this terrible and even traumatic terrorism. When we began articulating about this menace, many of the world's big powers dismissed this as a law and order issue. Now they know better. The question is: what do we do about it? We have just witnessed hurricanes, earthquakes, rains that inundate, storms which terrify. This is not a mere coincidence. Nature sent its warning to the world even before the world's leadership gathered in New York at the United Nations through Harvey. 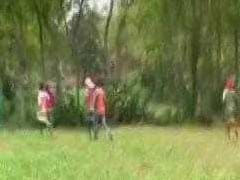 Once our gathering began an earthquake struck Mexico and a hurricane landed in Dominica. We must understand this requires more serious action than talk. The developed world must listen more carefully than others, because it has more capacities than others. It must help the less fortunate through technology transfer and Green Climate Financing - that is the only way to save future generations. 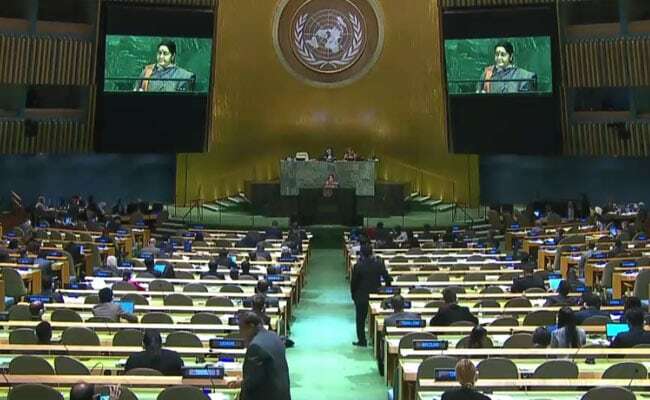 "We (India) truly believe that the world is one family," said Sushma Swaraj in her speech at UN. We also have high expectations from the new Secretary General of the United Nations. If he wants to reform the peace and security architecture, he will also need to address reforms related to peacekeeping that have been urged for long. Without improvements in UN Peacekeeping this goal can't be achieved.